As a keen writer myself I know how important it is to be comfortable where you do most of your writing. A good quality desk can be the difference between sluggish labor and enthusiastic and clear thinking productivity. I for one think this oak roll top writing desk is an ideal item of furniture for those serious about their writing. 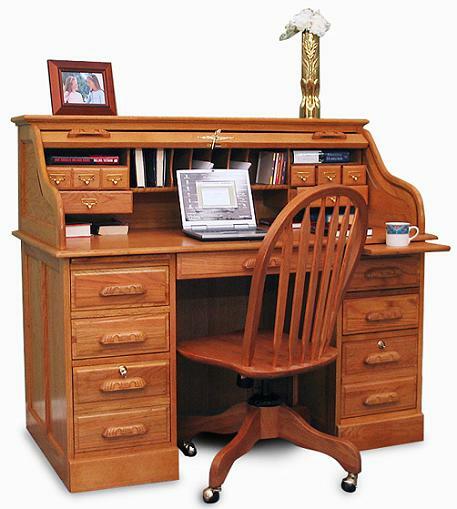 Whether that be daily letter writing, essay constructing, crafting poetry (another of my hobbies) or tapping away on your laptop computer, this roll top desk will suit all variations of one’s daily routine. For those who can’t get through the day without copious amounts of tea or coffee (yes, me again), the desk even comes with a special draw-out cup platform. This oak roll top writing desk comes with a delightful array of little nooks and crannies. Shelves, draws and hidden spaces seem to pop out from everywhere. However, this is a wonderfully handy quality for those of us with many items we like to have close to us when writing. These include the small books which include dictionaries, thesauri and also music discs. All these can be slotted neatly into place as can be seen in the picture above. Rubber bands, pins, erasers, pens, pencils, stamps, memory cards are all tiny items which often get lost. The last thing you want when writing is an annoying bits of paper getting in the way of your important tax forms. Again, these things can be stored away, with ease, in the myriad of draws available close to hand. 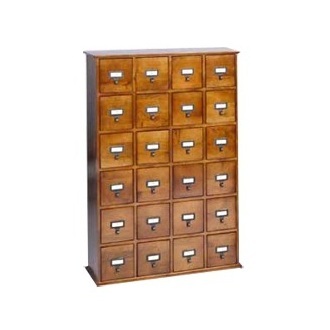 This oak roll top writing desk also comes with two file cabinet drawers with locks. These are very handy if you want to keep documents safely stored away from little kid’s crayon drawing skills. File cabinets are ubiquitous in offices, schools, hospitals and government buildings. However they can also be very beneficial additions to a home office environment. When working from within your own place of residence, it can often be difficult to create and then maintain a formal and tidy working space. As I myself have discovered when working from home, the boundaries between family life and the office can become uncomfortably blurred, both mentally and materially. This is where a good filing cabinet can come in handy. The Flash File Cabinet for example is made of epoxy-coated steel and is comprised of three drawers, one of which is a large file drawer with letter file hangers. These are also ideal for important legal documents and similar items. 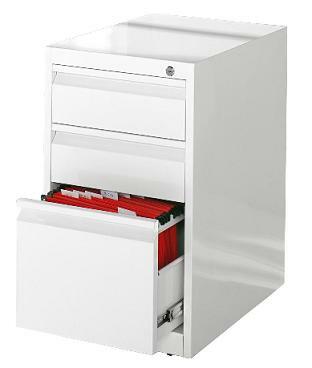 Filing cabinets like this one can help keep the home office and indeed the wider home interiors free from clutter. All too often we loose papers and essays for lack of a proper organised storage system. If you’re looking to make your working area a little more formal, tidy and spacious then this is a good item of office furniture to go for.